View the lecture presented by Jörg Guido Hülsmann, Professor of Economics at the University of Angers, at the Conservative Economic Quarterly Lecture Series (CEQLS) held by the Conservative Institute of M. R. Štefánik in Bratislava. The lecture is available as a video here. View the lecture presented by Patrick Michaels, Director of the Center for the Study of Science at the Cato Institute (USA), at the Conservative Economic Quarterly Lecture Series (CEQLS) held by the Conservative Institute of M. R. Štefánik in Bratislava. View the lecture presented by Philip Booth professor of Finance, Public Policy and Ethics at St. Mary's University, Twickenham, and Editorial and Programme Director at the Institute of Economic Affairs, at the Conservative Economic Quarterly Lecture Series (CEQLS) held at the Conservative Institute of M. R. Štefánik in Bratislava. View the lecture presented by Enrico Colombatto professor of economics at the University of Turin, at the Conservative Economic Quarterly Lecture Series (CEQLS) held at the Conservative Institute of M. R. Štefánik in Bratislava. View the lecture presented by Madsen Pirie, President and one of the co-founders of the Adam Smith Institute (UK), at the Conservative Economic Quarterly Lecture Series (CEQLS) held at the Conservative Institute of M. R. Štefánik in Bratislava. View the lecture presented by Michael C. Munger, professor of political science and economics, Duke University (USA), at the Conservative Economic Quarterly Lecture Series (CEQLS) held by the Conservative Institute of M. R. Štefánik in Bratislava. 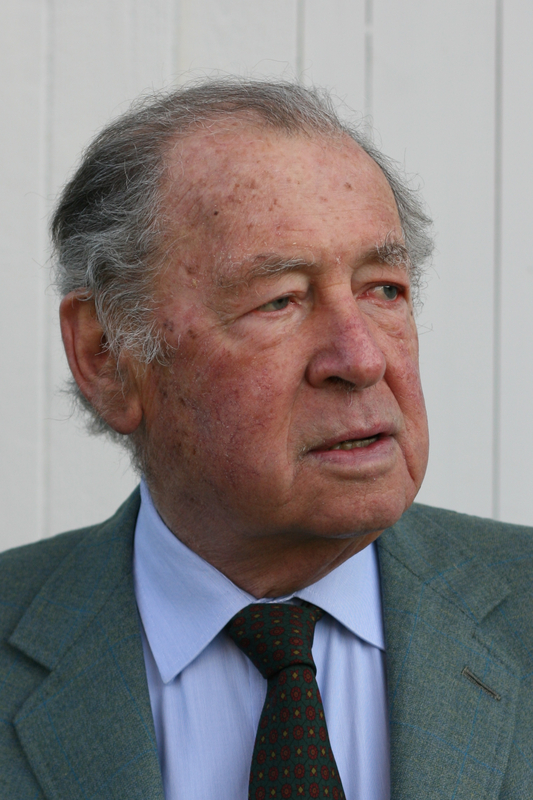 View the lecture presented by Anthony de Jasay, independent economist and philosopher, at the Conservative Economic Quarterly Lecture Series (CEQLS) held by the Conservative Institute of M. R. Štefánik in Bratislava. View speaches presented by Daniel Mitchell, Jose Piñera, Barbara Kolm, Richard Rahn, and others guests at international conference within Free Market Road Show organized by ECEG, Austrian Economics Center, Friedrich August von Hayek Institut in partnership with Conservative Institute and INESS in Bratislava. Speaches are available as a video here. 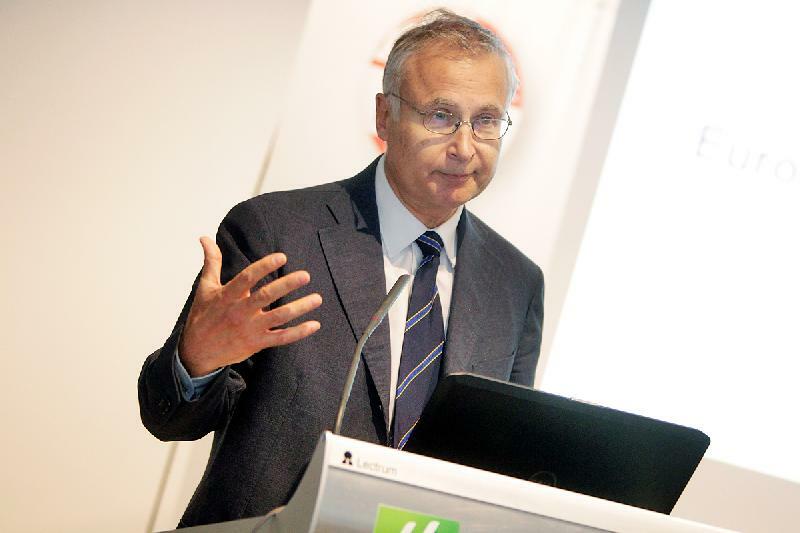 View the lecture presented by George A. Selgin, Professor of Economics at the University of Georgia, at the Conservative Economic Quarterly Lecture Series (CEQLS) held by the Conservative Institute of M. R. Štefánik in Bratislava. View the lecture presented by Richard Ebeling, Professor of Economics at the Northwood University, at the Conservative Economic Quarterly Lecture Series (CEQLS) held by the Conservative Institute of M. R. Štefánik in Bratislava. 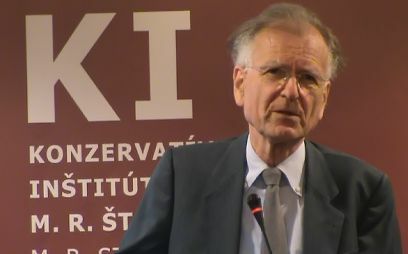 View the lecture presented by Hardy Bouillon, Professor for Philosophy at the University of Trier and Professor of Philosophy and Economics at SMC University, Vienna, at the Conservative Economic Quarterly Lecture Series (CEQLS) held by the Conservative Institute of M. R. Štefánik in Bratislava. View the lecture presented by Alejandro A. Chafuen, President of The Atlas Economic Research Foundation (USA), at the Conservative Economic Quarterly Lecture Series (CEQLS) held by the Conservative Institute of M. R. Štefánik in Bratislava. 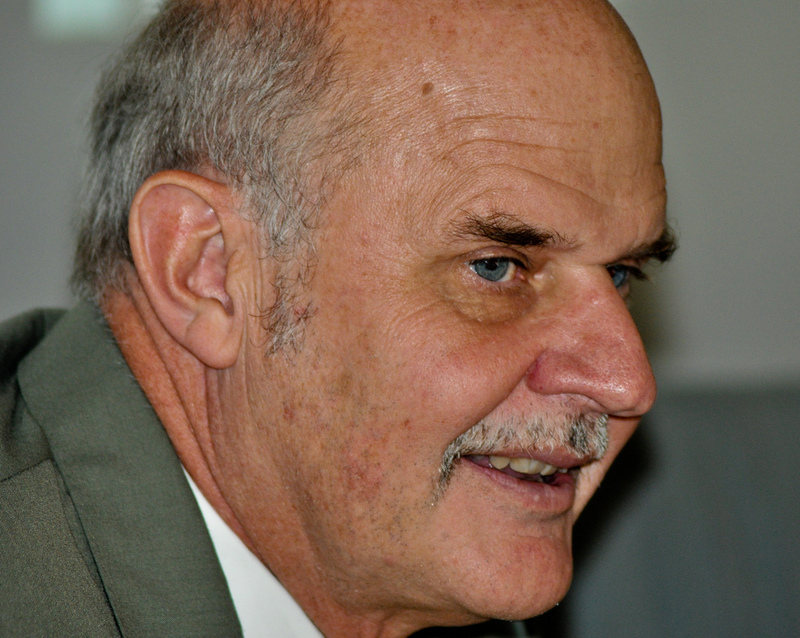 View the lecture presented by Roland Vaubel, Professor of Economics at the University of Mannheim (Germany), at the Conservative Economic Quarterly Lecture Series (CEQLS) held by the Conservative Institute of M. R. Štefánik in Bratislava. Europe at a Turning Point. Europe on the Road to Serfdom? View the lecture presented by David Schmidtz, Professor of Philosophy, joint Professor of Economics, and founding Director of the Center for Philosophy of Freedom at the University of Arizona, at the Conservative Economic Quarterly Lecture Series (CEQLS) held by the Conservative Institute of M. R. Štefánik in Bratislava. 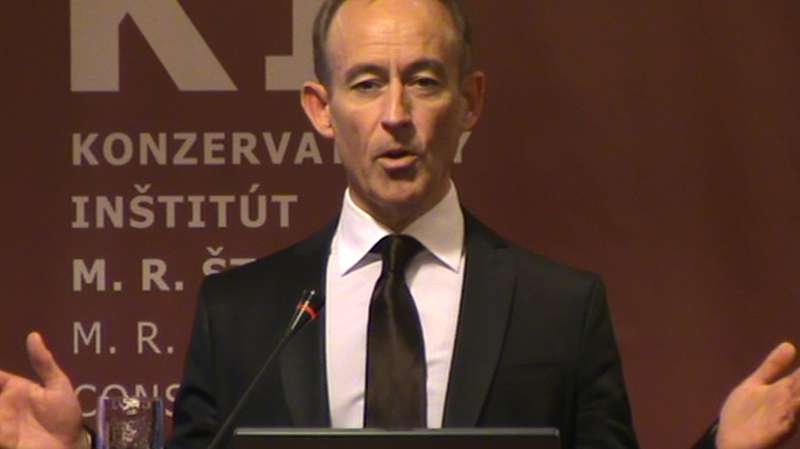 View the lecture presented by Shane Frith, Director of New Direction - The Foundation for European Reform, at the Conservative Economic Quarterly Lecture Series (CEQLS) held by the Conservative Institute of M. R. Štefánik in Bratislava. View the lecture presented by Robert P. Murphy, Adjunct scholar of the Mises Institute, at the Conservative Economic Quarterly Lecture Series (CEQLS) held by the Conservative Institute of M. R. Štefánik in Bratislava. View the lecture presented by Philipp Bagus, Assistant Professor of Economics, the University Rey Juan Carlos in Madrid, at the Conservative Economic Quarterly Lecture Series (CEQLS) held by the Conservative Institute of M. R. Štefánik in Bratislava. View the lecture presented by Peter J. Boettke, professor of economics at George Mason University (USA), at the Conservative Economic Quarterly Lecture Series (CEQLS) held by the Conservative Institute of M. R. Štefánik in Bratislava. View the lecture presented by Steven Horwitz, Charles A. Dana Professor of Economics, St. Lawrence University (USA), at the Conservative Economic Quarterly Lecture Series (CEQLS) held by the Conservative Institute of M. R. Štefánik in Bratislava. View the lecture presented by Tim Evans, Chief Executive of the Cobden Centre, Chairman of the Economic Policy Centre, a Consultant Director with the Adam Smith Institute and President of the Libertarian Alliance, at the Conservative Economic Quarterly Lecture Series (CEQLS) held by the Conservative Institute of M. R. Štefánik in Bratislava. 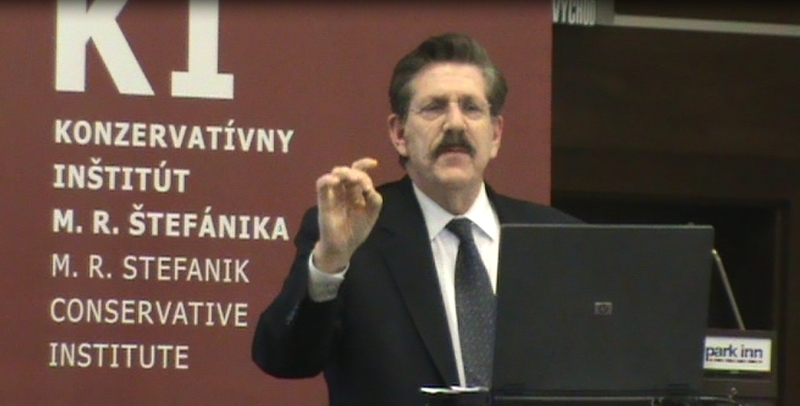 View the lecture presented by Richard A. Epstein, Political Scientist and Scholar at the American Enterprise Institute for Public Policy Research (USA), at the Conservative Economic Quarterly Lecture Series (CEQLS) held by the Conservative Institute of M. R. Štefánik in Bratislava. View the lecture presented by Richard A. Epstein, Professor of Law, The University of Chicago, at the Conservative Economic Quarterly Lecture Series (CEQLS) held by the Conservative Institute of M. R. Štefánik in Bratislava. 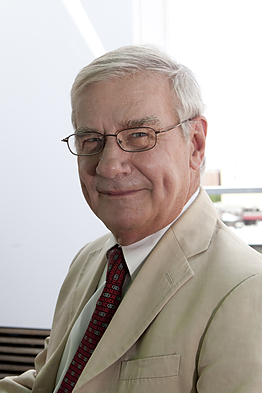 View the lecture presented by Gene Smiley, Professor of Economics, Marquette University, Milwaukee, at the Conservative Economic Quarterly Lecture Series (CEQLS) held by the Conservative Institute of M. R. Štefánik in Bratislava. 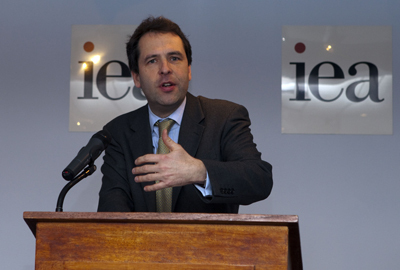 View the lecture presented by Jesús Huerta de Soto, Professor of Political Economy at the King Juan Carlos University of Madrid, at the Conservative Economic Quarterly Lecture Series (CEQLS) held by the Conservative Institute of M. R. Štefánik in Bratislava. 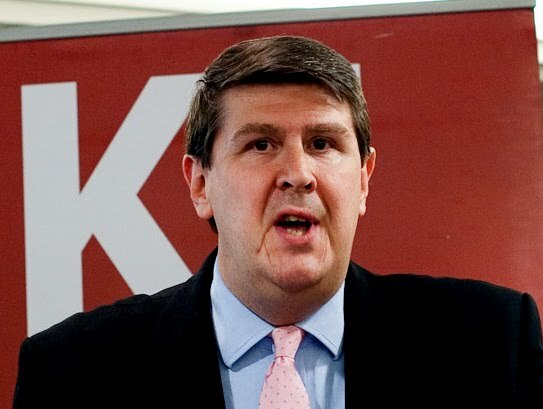 View the lecture presented by Samuel Gregg, Director of Research at the Acton Institute, at the Conservative Economic Quarterly Lecture Series (CEQLS) held by the Conservative Institute of M. R. Štefánik in Bratislava. View the lecture presented by Rev. 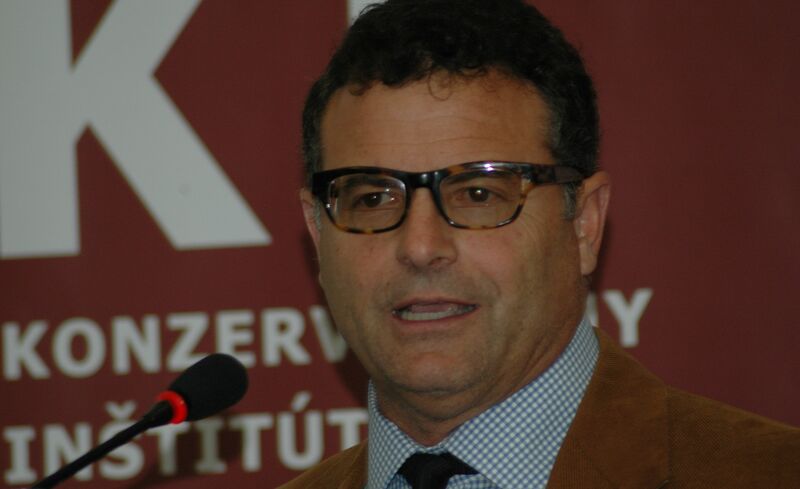 Marcel Guarnizo, Chairman of the Educational Initiative for Central and Eastern Europe, at the Conservative Economic Quarterly Lecture Series (CEQLS) held by the Conservative Institute of M. R. Štefánik in Bratislava. View the lecture presented by Pierre Garello, Professor of Economics at the Univeristy Paul Cézanne Aix-Marseille, at the Conservative Economic Quarterly Lecture Series (CEQLS) held by the Conservative Institute of M. R. Štefánik in Bratislava. View the lecture presented by Pascal Salin, professor of economics at Université Paris-Dauphine (France) and former President of the Mont Pelerin Society, at the Conservative Economic Quarterly Lecture Series (CEQLS) held by the Conservative Institute of M. R. Štefánik in Bratislava. The lecture is available as a video on infoNET.tv in French language here. 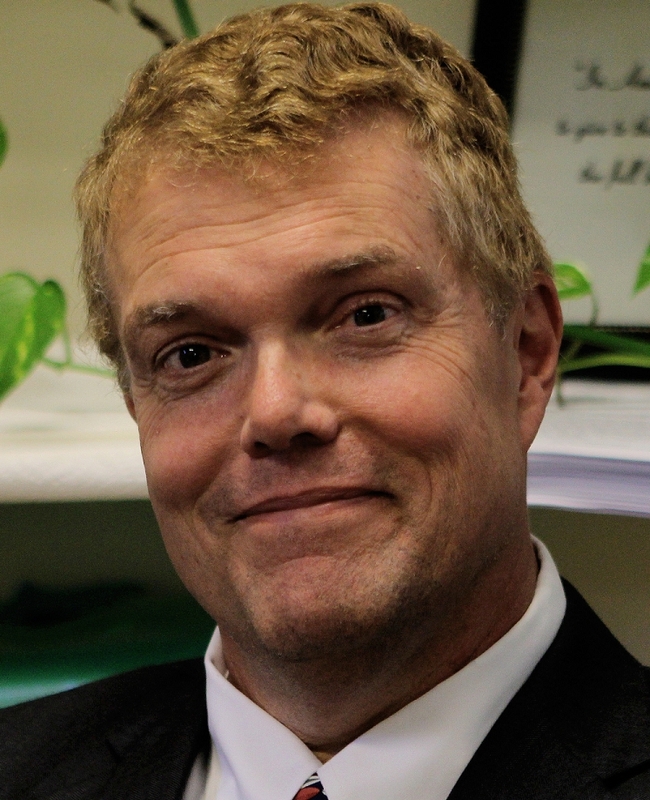 CEQLS Lecture: Johnny Munkhammar: Copy the Nordic Solutions – Not the Problems! View the lecture presented by Johnny Munkhammar, Program Director of the Timbro Institute (Stockholm, Sweden), at the Conservative Economic Quarterly Lecture Series (CEQLS) held by the Conservative Institute of M. R. Štefánik in Bratislava. The lecture is available as a video on infoNET.tv here. Lecture: Michael Novak: O Europe! View the lecture presented by Michael Novak /world-famous American philosopher and theologian with family roots in Slovakia/ for Conservative Institute of M. R. Štefánik in Bratislava. The lecture is available as a video on infoNET.tv here (Part I) and here (Part II). View the lecture presented by Richard W. Rahn, Director General of the Center for Global Economic Growth, at the Conservative Economic Quarterly Lecture Series (CEQLS) held by the Conservative Institute of M. R. Štefánik in Bratislava.